2. Mic Choice – Whether you only own one mic or twenty, mic choice plays a HUGE part in determining how good your recording sounds. If you need a nice breathy vocal sound, you probably shouldn’t reach for a dynamic mic. Take the time to learn what your mics sound like, then you’ll be better equipped to choose the proper mic for each source. 3. Mic Placement – People tend to over-emphasize the mic choice at the expense of mic placement. Don’t just throw the mic in front of the source and assume it’s fine. In my opinion, mic placement is almost MORE important than mic choice. Get it right. Take the time. I’ve found that a single microphone can sound radically different by simply changing its placement. 4. Trial & Error – When possible, make it a point try at least two different setups. Either two different mics or two different mic placements. Yes the first choice may sound fine, but moving that mic a few inches might make it sound 10 times better. You’ll never know if you’re not trying things out and comparing the differences. I cannot tell you how much more fun I have during the entire recording process when I make sure my source tracks sound as good as possible from the beginning. Editing becomes more enjoyable. 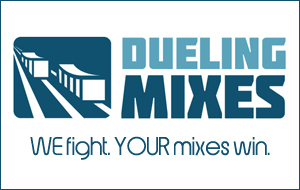 Mixing becomes a fun challenge rather than a frustration. Give it a shot on your next project. TAKEAWAY POINT: The more time you spend on the recording phase, the less time you’ll have to spend “fixing it” later.